Thanks to the lovely folks at Universal Pictures, we have some awesome American Pie: Reunion merchandise to give away to 2 lucky readers. You really are lucky beggars, aren’t you? To be in with a chance of winning this awesome prize, simply answer the following question. Send your answers, along with your name, address and contact number, to competitions@popculturemonster.com with the subject line “American Pie: Reunion Competition”. Who plays Jeanine Stifler (Stifler’s Mom) in the American Pie franchise? 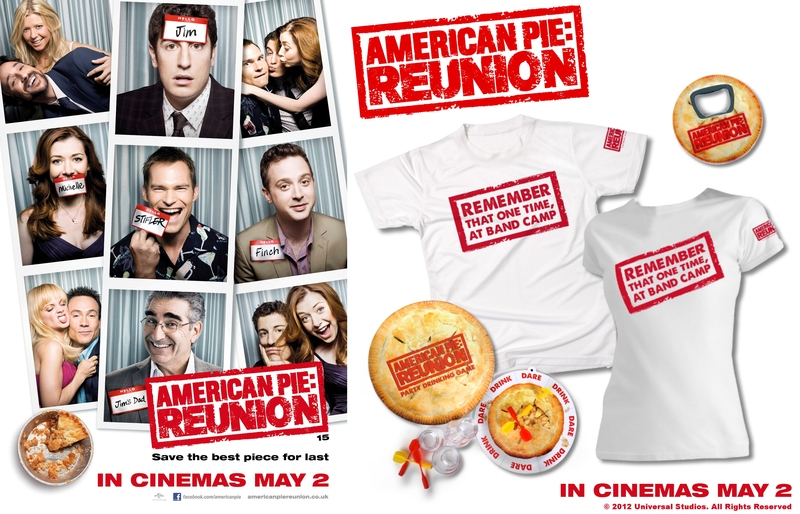 American Pie: Reunion releases in Irish cinemas 2nd May! Open to ROI residents over the age of 18.